For several decades there have been children born to illegal immigrants and these so-called “anchor babies” have been granted citizenship in the United States citing the 14th Amendment (“…all persons born or naturalized in the United States…are citizens…”). Those advocating in favor of this are in violation of the Constitution and other laws. It is really quite simple. Read the Amendment. Do as it spells out. Not as you wish it read. When the 14th Amendment was written and passed, it was done so specifically to ensure that former native-born slaves were granted citizenship. At that time we had no formal immigration policy so there were no illegal aliens. 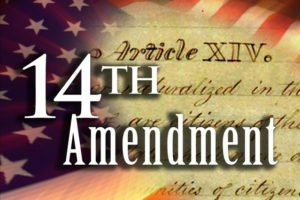 However, it does not take a rocket scientist or a brain surgeon to learn what the 14th is all about. The critical opening statement: "All persons born or naturalized in the United States, and subject to the jurisdiction thereof, are citizens of the United States and the State wherein they reside." 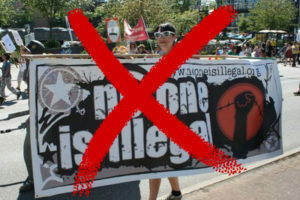 Illegal immigrants are NOT subject to our jurisdictions, as they are not Citizens. They are under the jurisdiction of whichever country they left or fled. It really is as easy as that. An illegal alien mother and/or father is still subject to their native country’s jurisdiction. As is their child. That was upheld over a century ago by SCOTUS when stating that the child’s status is determined by that of his or her parents. As well, this is upheld by the Citizens Act of 1924 using the same language, “subject to the jurisdiction thereof,” to ensure that all Eskimos and Native Americans received their rightful US citizenship. Yes. It. Really. Is. This. Simple. 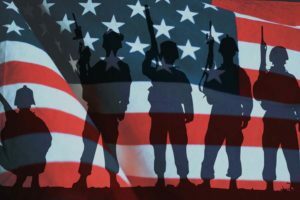 Meanwhile, we have over 12 million Vets who have served our country, many of whom need some form of care or treatment that they cannot get due to an underfunded Veteran’s Administration, and over 550,000 homeless US Citizens. We the People have allowed those we have elected to give away our hard-earned money, paid in as taxes, to harbor, shelter, feed, and otherwise care for illegals while granting their children status as a Citizen of the United States. It is well past time to clean things up on Capitol Hill. And get rid of any who violate it. The penalty, as laid out in one federal law (18 U.S.C. 1918), provides penalties for violation of the Congressional oath of office, which are described in 5 U.S.C. 7311: (1) removal from office and; (2) confinement or a fine. We Patriots must take back our country and remind all elected representatives in Congress that THEY WORK FOR US and they better start doing their jobs, as laid out by our Founding Fathers.